The Ridgeland Tourism Commission is thrilled to host Bike Your Park Day in Ridgeland for the third year on September 29th, 2018 through Adventure Cycling. The Natchez Trace Parkway serves as a beautiful backdrop for locals and tourists to appreciate something we so often take for granted here in Mississippi. Bike Your Park Day 2018 begins at the Bill Waller Craft Center in Ridgeland (formerly the Mississippi Craft Center) at 8:00 a.m. on Saturday, September 29th. We love taking any opportunity to showcase the Craft Center to our visitors, and maybe even introduce it to locals who have not been yet! Cyclists of all ages are invited to ride as few or as many miles as they choose before returning to the Craft Center for food and drinks. 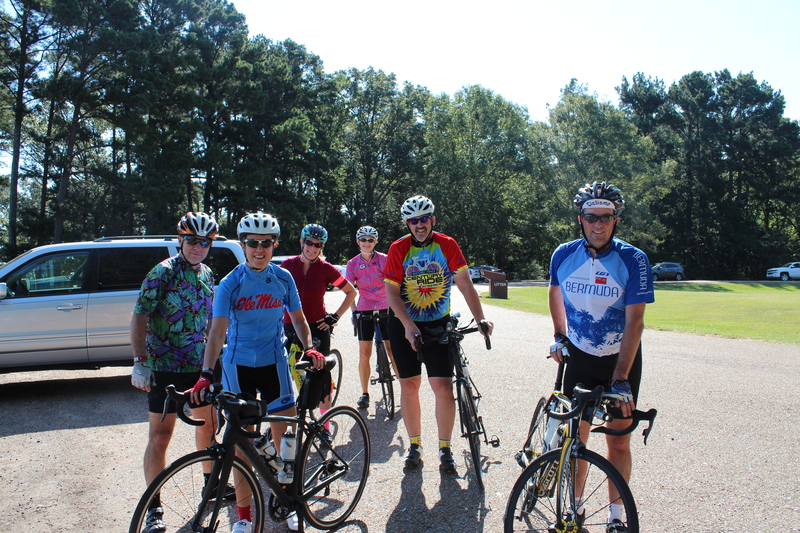 This is the third year Ridgeland has hosted a Bike Your Park Day on the Natchez Trace. For the first time this year, the ride includes a “Family Five Mile” ride where families can participate in a five-mile ride on the parkway together, led by a cyclist from Bicycle Revolution. The Family Five Mile ride will begin at the Craft Center at 8:30 a.m. Additionally, volunteers including Park Ranger Amy Genke will be on site to meet and greet cyclists and offer fun facts and information about the historic Natchez Trace Parkway. Our mayor, who is a cyclist himself, also comes to ride and we have hot dogs, beverages, and even vegan options for everyone to enjoy after the ride. Bike Your Park day does not require registration and is free and open to the public. 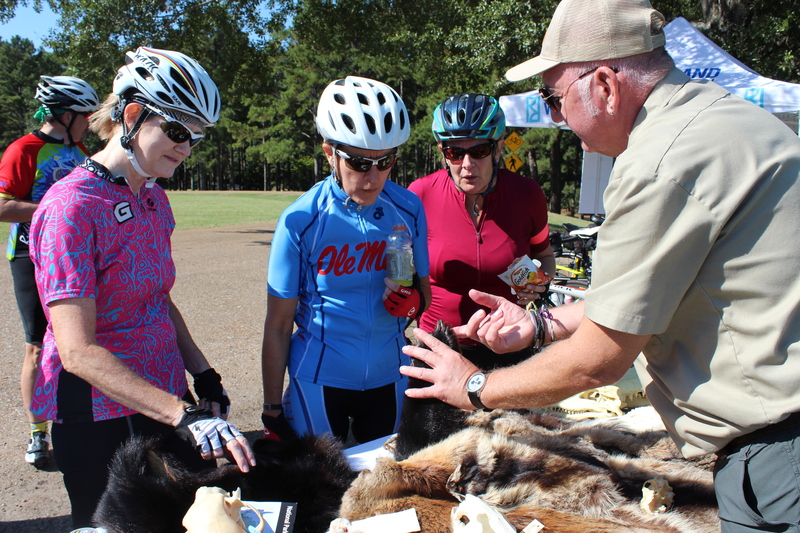 In the past three years, Bike Your Park day in Ridgeland has been a great success and continues to grow. In the past two years, over 20,000 people in all 50 states and 10 countries participated in Bike Your Park Day. Since Ridgeland recognizes our city as a cycling destination, we always welcome Adventure Cycling and other bike tours as they come to town. 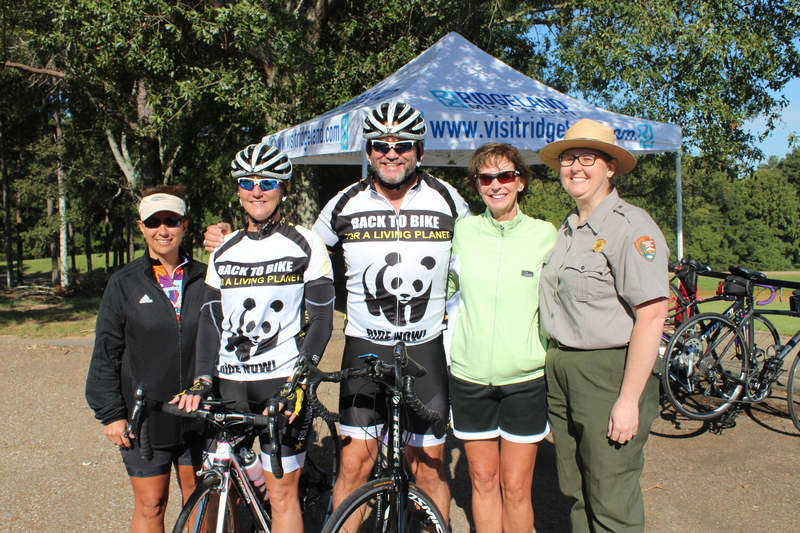 While most rides in Ridgeland are planned as tourism-driven events, Bike Your Park Day is that and more – it serves as a time to celebrate our section of the Natchez Trace Parkway and the cycling community as a whole. Locals and visitors of all ages come together before and after the ride, and it’s a great time to introduce people to cycling as well! The ride is family-friendly and lots of experienced cyclists are nearby to help. We’re looking forward to another successful Bike Your Park Day here in Ridgeland and can’t wait to see you there! For more information about Ridgeland’s Bike Your Park Day, contact Katie DeMetz at kdemetz@visitridgeland.com, Jayce Powell at jayce1271@yahoo.com, or visit www.bikeyourparkday.org.